$380.00 Click for price What's this? The new TaylorMade Aeroburner driver will bring incredible speed and distance back to your game. The Aeroburner driver features an advanced aerodynamic head shaped with a rounder toe and new hosel fin. This gives you added clubhead speed at impact without you actually swing harder. The new speed pocket on the sole dramatically increases the size of the sweet spot ensuring you will hit the fairway more often. The TaylorMade Aeroburner driver is designed for players of all ability levels and features a new white matte finish with crown graphics. Love this club. Was easily $80+ cheaper than any store in my area and even online. Already hitting longer and straighter. Best driver I've had in 25 years of playing golf. Looks sharp too! Highly recommend. I am very happy with my new Driver. I have gained 20 to 30 yards over my old TM Bubble Burner Titanium. I had a a midsize Golf Pride grip put on prior to my first swing. I wish there could be a grip size option when making my next purchase. 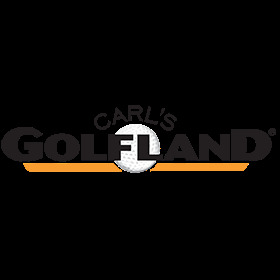 I am very pleased for the service I got from Carl's GolfLand, free shipping only took two days to get the driver. I highly recommend buying from GolfLand. My new TMD hits about the same distance as my CD, I have only used it 2 rounds, so I am hoping it will get better as I get use to it. The add said 7 to 10 days to ship, it showed up in 2 days. SWEET!!! Item new and as described.